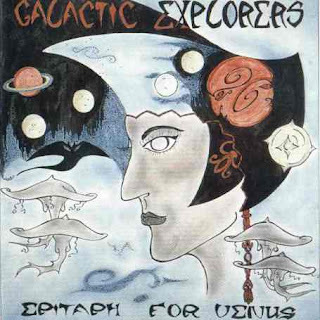 The Galactic Explorers were a group of three German synthesizer players, and to my knowledge this is their only album. It recalls the colder side of early Tangerine Dream for the most part, but manages to get a few melodic licks in between the lines and features a masterful command of alien atmosphere. There are three tracks here, with the side long and aptly titled "Lunarscape" coming first. We start with one of those awesome analog sequences before falling into a swirling abyss of synthesized sound. The feel of the track is very similar to Ohr Records-era Tangerine Dream, although I'd venture to say that this stuff is a touch more accessible as the Explorers give a little more attention to melody than TD did on a disc like Zeit. "Ethereal Jazz" perhaps gets it's title due to some light free jazz style percussion. More notable, however, is the bubbling wall of synths that we find ourselves enraptured by while listening. "Venus Rising" is the shortest track, although still coming in at a robust eight minutes. Any sense of melody is thrown out the window as the group works with a series of atmospheric drones. It could practically fit seamlessly on the aforementioned Tangerine Dream albums. For those seeking out the colder, electronic driven side of the krautrock explosion, you'll find that Epitaph For Venus is a lost treasure. For 1972 it is quite innovative and simply is the kind of music that no one really makes anymore, even though the influences are apparent in many modern styles. As a little side note, I find that the mastering (or lack of) makes the album sound a touch murky. Since this is a pretty minimalistic affair, I'd recommend tossing the tracks into a program like Sound Forge if you can and tweeking the levels a little bit. 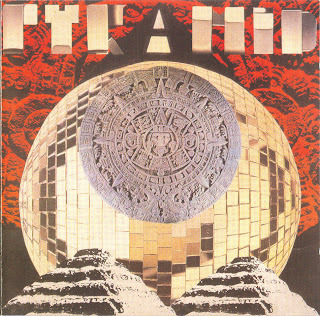 This space rock opus was reissued (or issued) in the 90's after have been lost for 20 years. At least that's what the packaging claims. It's perfectly possible that this is a forgery. There are a few synth sweeps that sound a little too modern, and everything seems cosmically in the right place, which could be that these unknown musicians were extremely talented, or that maybe they had the benefit of 20 years of hindsight. There's also the fact that the album is one 33 minute track, which as we know couldn't possibly work on vinyl (although it certainly could have been split for that medium). Regardless of the album's origin, it is a very satisfying slab of cosmic rock that recalls both the better parts of early 70's krautrock and the improvisational sound of Meddle-era Pink Floyd. "Dawn Defender" is the title of our lone track, although it cycles through a wide variety of moods and sections. We hear some very Nick Mason-style drum pounding, cool bass chords, sliding, delayed guitar, and spaced-out keyboards throughout the piece. I'm guessing that Pyramid was a four-person collective. The keyboards feature what the credits claim is a mellotron, but I'd swear that we're hearing a latter-day digital equivalent of that psychedelic keystone. The basic construction of the track is that it takes a few minutes to gain momentum, rocks out epically for about 12 minutes, and then takes another 13 fading away into the interstellar dust. So this may or may not be a legit document of 70's space rock. It's still a fine album, so does anyone really care? I feel very comfortable recommending that you spend half hour of your life with these anonymous, tripped-out musicians. Sergius Golowin was a German acid guru who seemed to be sort of along the lines of a German Timothy Leary. 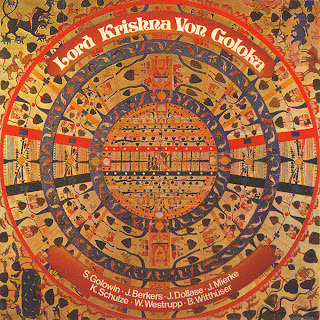 He appeared on some of the "Die Kosmischen Kuriere" label recordings in a fashion similar to Leary's appearance on Ash Ra Tempel's Seven Up. In fact, that's a pretty good analogy for this album. The good news is that krautrock luminaries such as Klaus Schulze are front and center playing the music here, although it doesn't really rank up there with their best work. The tracks are gliding, almost ambient works on top of which Golowin waxes mystical in German. Since he doesn't really sing, understanding German will definitely increase your enjoyment of this album. Having gotten "C's" in my high school German classes, I'd be just as happy to hear an instrumental version of this instead. We find three long tracks here. "Der Regen" is a more acoustically based soundstorm, with acoustic guitars and light percussion standing in for the rain, with some synthesizer glimmers coming in later. "Die Weisse Alm" is the shortest track here at six minutes. It's even more acoustically based and almost pastoral sounding, with Golowin coming almost close to singing. Unfortunately, he's not very good at it and I'd still prefer to hear this as an instumental. The best track here is the 20-minute closer, "Die Hoch Heit." It's also the best track here. Golowin's presence works a lot better as the atmospherics are far more wacked out than on the first two tracks. There are even a few moments where our Cosmic Jokers have an opportunity to work up a nice head of psychedelic steam (too bad guitarist Manuel Gottching isn't on this one to really tear things up). Just before the halfway part, the music downshifts into a nice space rock groove with some nice flute leads. Then Golowin starts whispering, which kind of annoys me. This is not at all an entry point into krautrock. But once you've properly digested your early-Popol Vuh, Tangerine Dream, Cosmic Jokers and Ash Ra Tempel, and you're hungry for more, this isn't a bad place to get your teutonic fix. It's still has plenty of that weird early-70's krautrock cavernous sound that even the masters couldn't replicate by the latter half of the decade. This isn't so much music as an experience. I wouldn't recommend listening to this album while driving or maybe even while standing. It's really a mind-warping experience of its own and may very well throw off your balance, especially on headphones. I'm actually making lots of typos while listening and typing. Coil is well known as leading proponents of the industrial drone, and that's pretty much all you'll find here. The entire album consists of analog synthesizer drones pulsing at various oscillating rates. At its heart, Time Machines is a series of somewhat darkly hued sound painting. Fortunately, Coil are quite skilled at this sort of thing and the entire recording seems very smooth and consistent even as tones sometimes whirl off onto the stratosphere. Although this is best used as background music that has the strange side effect of turning your brain into jelly. If you're familiar with the construction of analog synths, you may want to try and pay attention as the band knob twirling is impressively controlled and effective. There's not much point going over the tracks themselves, but it's well worth noting that they're all titled after synthetic chemical compounds. I don't know my chemistry, but I would assume of the mind bending variety. They're not named lightly as these tracks will indeed perform some sonic surgery on your brain. Time Machines comes across as a slightly dangerous album. This is definitely not going to be everyone's cup of tea. If I haven't scared you off already, I think you'll find that this disc contains something a little different than what is generally found on a CD or a piece of vinyl (or an mp3 I guess). Let Coil reprogram your mind if you dare. Here's another group from the sixties focusing on exploring the sounds of India and the Middle East. While it's well past a cliche to be doing that, especially by 1969, these folks do it quite well. 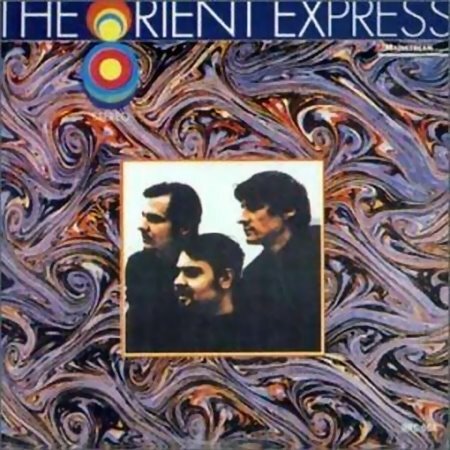 The Orient Express grabbed a few ethnic acoustic instruments and modal ideas, and set out melding it with the 1967 vintage of the San Fran psych rock ballroom sound (with a hint of Syd Barrett's Floyd too). Along with the sitars, this band tries to play most of the guitar parts as f they are sitars too. Most of the tracks manage to work themselves into a whirling dervish-like frenzy. It's mostly instrumental, but we do get vocals from a fellow that sounds like he's channeling some of the less cuddly Hindu gods. The first three tracks all work on the wild, strobe lit, sound quite amazingly, while the echoing canvas of "Birds Of India" takes a little more leisure, occasionally slipping into polyrhythmic insanity. "Caravan Of Silk" sound like the perfect music for enter an evil lair in some twisted low-budget (but great) adventure film, and "Azaar" eventually pulls out all the stops for a full frontal assault. Strangely enough the most pop friendly tracks appear near the end, with "For A Moment" and "A Little Star" sounding like tracks tailor made for the left-of-center, freakier radio stations (did AM radio have left of the dial?). With "Cobra Fever," we get a nice come down track along, which could end up in the aforementioned adventure film as the villain is plotting our hero's doom. There's something mildly exploitative sounding about the Orient Express, but they tend to work up such a head of steam that I really don't care. It's like exotica for the turned on crowd. Here's a group of folky hippies from Norway who seem to have taken a trip to India in their minds, and returned with a sitar, tabla, and an Indian flute found in the local pawn shop. That is to say that while the trappings of Indian music are more than present here, it's a pretty superficial thing although it does add a nice textural touch to this album. At it's heart the music recalls the Free Design at its best, and the sugary side of Peter, Paul, and Mary at its worst. On top of this faux-Indian construction are some boy/girl vocals, very much hitting the 'hippy mama,' 'spiritual daddy' vibe. Their voices are quite good and mingle pretty well for the most part, which is probably what is making me thing of the Free Design. The thing with this kind of music is to balance the sugar with a touch of strychnine. Oriental Sunshine manages to do this on the pretty awesome "Across Your Life" quite well. The second half of the album also walks the line well on tracks like "Can Anybody Tell" and "My Way To Be Hurt." The caveat here is that by this time you may be getting a little tired of their vibe as it doesn't change much from the California-meadow-with-sitars vibe over the album. When they finally try and delve deeper into Indian composition on "Where You Went," it just sounds silly. Other times, the sugar starts to scrape on my gag reflex. "Mother Nature" should tip you off, and if it doesn't, lines about 'talking to the trees' will. "Look At Me" makes me think of the midwestern runaway having an acid freak out in the street in late-1968 San Francisco. So, this album doesn't really get my seal of approval, although there's definitely a must hear track or two lying around (like the opener). If you're open to the gentle pastoral hippy thing, feel free to bump up the rating a notch or so. I've just got so much tolerance for it personally. Here`s a great compilation about this argentinian (my country ! ! ) band... wild beat...great balads, nice touches of a wild dose of garage, simple lyrics... a big influence to all the rest of the southamerican bands of that era. 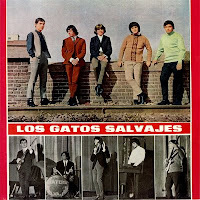 Firs of all the band was knowned as the "Wild Cats", then they`ve changed the name to "Los Gatos Salvajes", the played between 1964 and 1967 before they became "Los Gatos".Highly Recommended. South American Beat. Heavily influenced by Chuck Berry, Presley, Hollies and of course The Beatles. A great quote in allmusic: "But that's also part of this disc's very real charm — los Gatos Salvajes were five young men who loved rock & roll and played with the sincerity of true believers, blazing a trail for hundreds of Latin rockers who would follow, and the original songs here show they had learned enough from their influences to develop an impressive voice of their own, one which would grow stronger when they later evolved into los Gatos. Fun stuff, and a real eye opener for fans of international garage sounds." Los Gatos Salvajes (which translates as "The Wild Cats") are generally cited as Argentina's first great beat-era group, playing solid, bluesy garage rock at a time when the scene was hopping in America and the United Kingdom but scarcely existed in Latin America. While los Gatos Salvajes were clearly influenced by the Beatles, it's not hard to tell that they'd been listening to the Rolling Stones and the Yardbirds as well, and the Farfisa organ that made its way into their arrangements suggests they were checking out a few American garage acts as well. Banda rosarina pionera del Rock Argentino. Originariamente bautizada los "Wild Cats", en 1964 cantaban en inglés en fiestas y como teloneros de grupos llegados de Buenos Aires. En el repertorio estaban las canciones de Chuck Berry y Elvis Presley. Poco a poco, y con la llegada de Litto Nebbia, se fueron incorporando temas propios (tanto en inglés como en castellano), hasta alternar un estilo más cercano a The Hollies, The Beatles y The Animals. Un discazo muy completo, dosis garageras en menor proporcion, baladas beat y letras bien simples inhundan este disco repleto de influencias europeas-americanas. Un discazo... es excelente como hablan los musicos de hoy en dia acerca de los Gatos, entre ellos los han citado como referencia musical , Charly , Ceratti y el "Flaco" Spinetta. 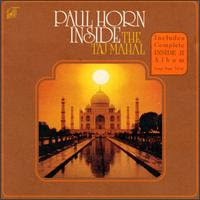 Paul Horn was pretty much a second-tier jazz flautist throughout the 50's and most of the 60's. Somewhere around 1968, he seems to have started searching for some kind of enlightenment and found his calling recording ethereal music which is an important precursor to new age and ambient music, yet also manages to feel fresh today. This album was recorded on a tape recorder that Horn apparently snuck into the Taj Mahal. Now, on the surface this seems to shoehorn this album into the realm of non-produced home recordings, but the recording location provides a trump card. Although we only hear Horn's flute and the Hindi chanting of a guard who just happened to be around, the acoustics of the Taj Mahal are something else entirely. Throughout the album, the simple instrumentation comes under the effect of a 28 second delay, which manages to produce a wide range of overtones and harmonics. This means that we sort of get a third instrument, which is a magical reverberation that even the best modern studio cannot compete with. The acoustics alone aren't necessarily going to make this one a classic, but Horn's playing does. forsaking the hard bop jazz sound that he'd been working with on albums past, the flute here is extremely naturalistic and restrained. The sound of the echoing flute fades into the chanting seamlessly. The two artists rarely appear in tandem, but the overtones perfectly glue the performances together. This is an amazing meditation-centered album. It's certainly a beautiful one which far transcends the new age tag that I often consider a minus. This is one of those albums that while it's playing becomes part of your being. Very highly recommended. I suppose that this is technically Hallucinogen's remix album, but unlike most remix albums, this one really does stand on its own. All of the tracks were remixed by one man instead of by lots of random producers, and they are all going for a dub sound, which gives the disc a thematic consistency which is usually the antithesis of a remix album. Behind the boards on In Dub, we find not Simon Posford, but a fellow named Ott. The title right away gives a fairly accurate impression of what kind of sounds you'll find here, but there are a few notable differences. Where classic dub is gritty and nasty sounding, Ott preferred to retain the clear shimmer of Posford's original tracks, substituting the beats and bass lines for the loping dub variety. In effect, In Dub is a one-trick-pony, but it's a damn fine trick and manages to sound fresh for the hour that the album lasts. For Hallucinogen fans, there are a few tracks present ("Mi-Loony-Um!" "Spiritual Antiseptic," "Angelic Particals") here that are not on the two proper albums. I'd imagine that they sounded quite different in their original incarnations, but they work pretty well in this dub environment too. As far as album tracks go, I actually prefer the Ott version of "Gamma Goblins" and the remixed "LSD" holds its own pretty well in comparison with the great original. The two proper Hallucinogen albums are adrenaline-pumping psy-trance dance floor slammers. In Dub is oriented more for the chill out room, and brings out the more melodic components of Posford's work. These are the subterranean twilight sounds of Hallucinogen and is the rare remix album that is absolutely essential for fans of the group. Here we find Shpongle co-mastermind Simon Posford with his first recordings as Hallucinogen. Although released in 1999, most of these recordings apparently date from the first half of the decade. If you have any affinity for the electronic sub genre of psy-trance, I think you very well may agree that this is the best album that that particular niche had to offer. What we find here is a totally cool, streamlined gliding sound. As good as the Lone Deranger was, it was a little loaded down with squiggles of noise, and it rarely took flight as amazingly as this one. Twisted manages to fit every note and sequence in the right place and is better fitted to induce a trance state of mind than pretty much any other music with a beat (we'll leave more ambient music out of this equation). Twisted starts of with "LSD," which is a damn fine track whose concept Posford's Shpongle collaborator Raja Ram would later take to album length on the first 1200 Micrograms album. Then the sound plunges down for a a in flight canyon run on "Orphic Trench," which comes across like the Orb on steroids. Early centerpiece "Alpha Centauri" sonically takes us to that particular star system using an very different route than Tangerine Dream did on their Alpha Centauri album. Once again though, songs are not necessarily the key here as the album seemlessly flows through several top rate dance numbers like "Snarling Black Mabel" and the percolating "Fluoro Neuro Sponge." Make sure to fast forward through a few minutes of silence after "Solstice" to find a pretty cool ambient track that would have been a nice breather in the middle of the album. This is a very upbeat album, but retains a psychedelic sense of mystery. I suppose this is best used for when you want your party to get wild and weird, blasting down a lost highway at night, or spinning around and around in a car with electric lights flashing very fast. Hallucinogen is the project of Shpongle's Simon Posford. Where as Shpongle often focuses on electronic music with a world beat bent, Hallucinogen is more of a straight ahead psy-trance sound. As far as that particular genre of electronic music goes, I would say that this is the gold standard. Although this was Hallucinogen's first release in the U.S., is in fact the second album. With insanity (or 'unsane' as the opening track would suggest) seemingly the binding concept here, The Lone Deranger is somewhat of a dark sounding album. Posford is a master of odd electronic noise. Many acts of this nature suffer because their digital sequencing and sound effects end up sounding thin and tinny. Here though, plenty of analog electronic sounds seem to mingle with the more digital portions and give the music a very full blooded sound. As a psy-trance act, Hallucinogen is also extremely danceable and contains plenty of inventive four-on-the-floor house style beats. Albums like this aren't particularly song oriented and you just have to flow along with the rolling sounds. It's often necessary to check your player to tell when you've reached the next track. However, there are still a few tracks that stick out for me. The opening "Demention" is pretty awesome evershifting fractal of electronics, with the opening voice sample being particularly amusing. "Trancespotting" plows along at the speed of an out-of-control shinkansen (bullet train for those of you not living in Japan) with some totally groovy dirty sounding acid sequences lighting the way. "Gamma Goblins Part 2" (don't know where part 1 is) tends to get referenced often as the centerpiece of the album, which is due in no small part to the truly terrifying sounding synth tones that Posford rips out of his machines. Fort those of you open to the types of sounds created after the psychedelic 60's and 70's, and have a soft spot for electronic dance music, Hallucinogen will be like manna from heaven. At any rate, you'll get the opportunity to hear psy-trance at the absolute peak of its form. I searched a lot for those old sonics vynil of the early recordings of this band, when i finally hit this compilation released back in the 90`s. 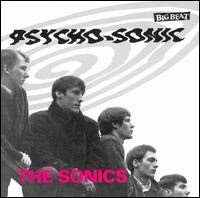 Ok here`s the deal, a lot of people think that The Sonics were never the same after 1966, their music turned more comercial due to the label company. So here we have this great compilation of the "Sonics Golden Years" that were 64-67, so this is a wild dose of raw garage mixed with classic rock and roll and some frat rock too. This album contains all their hits and great versions of some 50`s and 60`s covers. The proto punk sound of this band was amazing, highly influenced by The Kingsmen and Little Richard. This is one of the most important bands in the american garage scene, a very nice quote of all music: "Breaking up in the late '60s (after one ill-fated album attempt to water down their style for national attention), the Sonics continue today to be revered by '60s collectors the world over for their unique brand of rock & roll raunch". Aca va el compilado lanzado en 1993, el cual no solo tiene los hits mas conocidos de la banda y el material mas pesado tambien, "The Witch", "Psycho", "Boss Boss", "He´s waiting" entre otros. Una particularidad del album es que las mezclas de los temas son las mismas que la epoca en la cual fueron lanzados, sin remasterizaciones ni mezclas extras. Encontramos 29 temas de pura exitacion veloz y garage con pasajes psicodelicos. Todo el repertorio de los covers se puede escuchar aca tambien, "Good Golly...","Louie Louie", "Money" y "Keep a knoking" como los mas destacados. Aparte, como si fuera una especie de regalito extra-bonus, un par de temas en vivo, los cuales tendran que descubrir escuchando este disco, fácil, la respuesta, el link aca abajo. Esta es una de las bandas mas que mas influenciaron al resto de las que estaban en la liga americana garagera y resto del mundo tambien. Un sonido particularmente agresivo, rapido y crudo durante los recitales, citada como los tios garageros de los 60`s, una obra completa de estos monstruos. Harumi was a Japanese ex-pat (with a woman's name) who jumped across the ocean and had the fortune to under the guiding hand of legendary producer Tom Wilson. This self titled disc is a double album that deserves to be as such as it functions basically as two completely different sets: one a set of blue eyed soul and AM pop sounds thrown through a psychedelic pop prism, while the other consists of two side long experimental freak outs. The first eleven songs are pretty solid psychedelic pop that usually ends up echoing another artist. "Hunters Of Heaven" recalls the Grass Roots a little too much for my tastes, while "Don't Know What I'm Gonna Do" is like a psychedelicized Righteous Brothers. "Hurry Up Now" and "What A Day For Me" channel a little bit of the Stax Records sound. Tom Wilson throws some production curveballs by slathering on the phasing and adding some occasional orchestration and oddball instrumentation. Then we have Harumi himself. Although going for a pop sound that generally harbours powerful vocalists, he often sounds more like a stoned cosmonaut. I think this makes this more charming than it would be otherwise. Fortunately, there are several home run tracks hanging in the grooves. "Talk About It" blasts through with it's phasing, screeching strings and horn charts as a pretty wacked out soul number. "First Impressions" trades in the soul (but keeps the horns), for a great track that mixes British style whimsy with the lighter side of San Fran acid rock. Plus it has vibraphone, which as you may know, is always a plus for me. "Hello" is an awesome psych groover (with more vibraphone!) that was awesome enough to get sampled on the first track of Edan's Beauty And The Beat. Later we find "We Love," which is a fun raga-rock song which kind of recalls the better songs on the soundtracks of 60's psychedelic exploitation films. Then we get to the second disc, which is a much stranger set of stream-of-consciousness ramblings, traditional Japanese instrumentation, and the ambience of a blue-smoke filled club at 5am when only the most freaked out heads are still hanging around. "Twice Told Tales Of The Pomegranate Forest" inhabits the first side, and is by far the lesser of the two. Resting mostly on koto and strange spoken word, it takes some effort to make it through the whole 24 minutes. Much better is side two's "Samurai Memories," which is supported by a churning band. On top of this are lots of muttering in Japanese, warped sound effects, and orchestration invading the aural space in strange and unexpected ways. The 20 minute track feels like a missing link between the stranger part of Frank Zappa's Freak Out and the long, driving sonic journeys of Acid Mothers Temple. With what basically amounts to two albums present here, you're bound to find a couple tracks that hit a bulls-eye on Harumi. It's underground music, but with the steady hand of a pro at the helm. The band was trying to promote their latest album "Future", and of course some old hits. Here you can listen the mix of influences that Saxon put together in this live album, some coincidence in 2 tracks related with a couple of Doors songs. Here in allmusic you have a great description: "900 Million People Daily All Making Love" sounds so much like the Doors and Jim Morrison's "When the Music's Over," one has to wonder which came first, or did they copy each other? "Mumble and Bumble" is a trippy "Alabama Song," but where Morrison is looking for the next whiskey bar, Saxon is off looking for flowers and magic mushrooms. For me, the band (in this album) didn´t sound like the studio albums, I mean I prefer the studio songs in this case, sound much more better than live ones. The cover is a very psych one, and in the booklet you can find some great black and white pictures on the back. This album has a truly psychedelic cover but the songs that you`ll find here, won`t be that much. 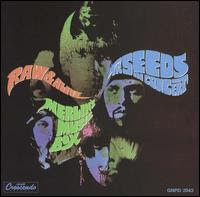 Aca va material de los Seeds en vivo, un disco con bastantes particularidades. Era la epoca que le tocaba a Saxon & Co lanzar material en vivo para promover mas su música, sobre todo "Future" lanzado previamente en 1967. Aca lo que se podra escuchar es una dosis de garage en menor cantidad, al contrario de otras bandas el disco suena menos agresivo y falto de locura a comparación de los discos de estudio de la banda. Si existen muchas coincidencias con temas de los Doors, es verdad que "900 million people daily..." suena muy parecido a la mas duradera "When the Music`s over" de los reyes del rock acido. Tambien es notable la similitud que existe entre "Alabama Song" y "Mumble Bumble" por ahi lei que mientras que uno buscaba su wisky en un bar con una chica, el otro buscaba su regocijo en los hongos y sustancias alucinogenas. Bueno en fin, un registro en vivo de esta super banda, a darle una escuchada y a sacudir al final con "Pushin too hard"! A no engañarse por la portada del album, bien psicodelica pero no tan asi su contenido.